It&apos;s been almost one month ago exactly on October 10, 2018 the world of space were shocked by the failure of the Soyuz MS-10 rocket booster system in the space pad Baikonur Cosmodrome, Kazakhstan. When it was just sliding and soaring onto air around 114 seconds. Fortunately Russian cosmonaut Alexey Ovchinin and US Astronaut Nick Hague who were in it can be saved by doing an emergency landing via ballistic mode. How full of risk and the danger of an astronaut in carrying out his work in conducting research and space exploration reminds us of the fate and a number of the worst possibilities that might occur. Starting from the launching process, they are surrounded by tons of liquid propellants, one system failure will blown up rockets and themselves, not only that after launch and successfully reach outer space constantly at risk of exposed from cosmic radiation exposure such as solar radiation and of course it can harm very badly, causing cancer, can also occur collision with meteorite, or space debris. Even when the relaunch onto the earth from space station is still at risk, it is very likely that an explosion will occur when entering the earth&apos;s atmosphere or landing. Death may be likely only one inch for an astronaut. This is where the importance of paying attention to the health plan for astronauts and families who may be left at risk of their work is very dangerous. If aircraft pilots have a personal accident and loss of license insurance that covers death, bodily injury, permanent or total disability, and medical expense caused by accidents or incapacity to carry out activities as usual. What about astronauts? We know that since the launch of the NASA Apollo 11-17 mission, health plan have always been an issue. 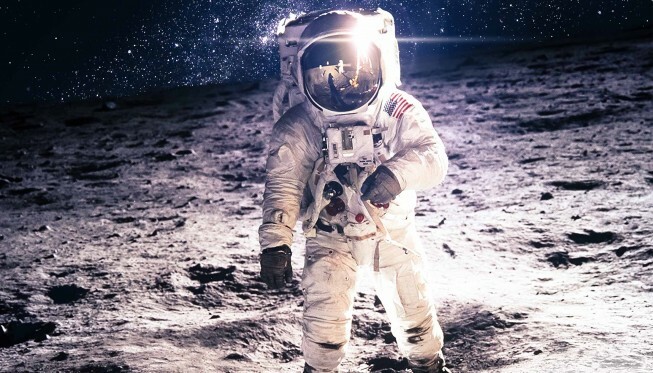 Neil Armstrong, Michael Collins, and Buzz Aldrin because of their inability to finance themselves and the absence of an insurance company that wanted to provide protection at that time ultimately made a unique and creative decision known as "Apollo Insurance Covers". That terms out of context of insurance meaning but has the function very well. They signed their names on autographs, envelopes, post-card and decorate with various space-related images and would, of course, become extremely valuable to sell for providing and funding their family even for in the mission success or failure on July 16, 1969. Then how is the fate of astronauts by today? Insurance companies still cannot protect astronauts because they become main exclusion of occupations in the policy. A number of occupations which are exceptions in health or personal accident policies such as: skin diver, rock climber, hang glider, parachuter, race drivers, and any other dangerous jobs. Insurance companies will also assess the level of risk from type of work a person has, and the level of income ability. In respect of this, they can’t protect astronauts because of the very high risk of death with a high level of severity and uncertainty frequency and also contrary to the principle of the ‘law of the large number’. Besides that, astronauts are also related to the unavailability of coverage in the type of space insurance today. The space insurance that we know today are satellite in launch, satellite in orbit, satellite de orbit, and legal liability from uncertain third party as a consequence of the satellite activity. Need a modification and innovation facing the modern space race era. Seeing this condition, US Government is fortunate to pay more attention to astronauts since it has entered the Federal Employee section, they are eligible for FEGLI (Federal Employees&apos; Group Life Insurance) cover. Astronauts get special sum insured for approximately USD 250,000 as a consequence and a great responsibility to work to develop civilization and start a new step of life that has never been surpassed by other human beings. Also now that the world has entered the modern space race era, a time when humans competing with intelligence made the launch of reusable rocket use to be efficient and effective especially in terms of cost and environmental friendliness. Furthermore satellite technology development is increasingly more frequent to provide more responsive communication and data transmission. Perform other functions such as remote sensing, vessel traffic monitors, voice repeaters, and disaster mitigation systems. Thus, it might be become ordinary in the next few years that space tourism can also be an alternative vacation and creating a new arena in the insurance industry to compete and make suitable coverage for space travelers and other astronauts with certain modifications or what we know as tailor made policy; specifically policy created to accommodate the needs of the insured in accordance with mutual agreement.